Today, True Leaf Medicine International Ltd. has announced the completion of an agreement with Germany-based company Pro Pet Koller, a leading supplier of premier pet food, to distribute and sell True Leaf Pet products in stores across Germany and Austria. In late August, True Leaf announced a significant purchase order from Pets Corner, the second largest pet store chain in the UK, which will sell the True Hemp product line in all of its 174 stores. With almost 10 times as many stores in Germany and Austria, alone today’s distribution deal promises that 2017 will see a continuation of the rapid pace of growth in the True Leaf business that began in 2016. Additional distribution agreements for the European markets may follow in early 2017, including online shops. Over the last months, True Leaf has build a solid distribution base on 2 continents and will now focus on its access to over 10,000 stores, growing sales volumes month by month and also with new products to be added in 2017. The instant popularity of the True Hemp product is one of the keys to the company’s rapid acceptance by distributors in now 5 countries on 2 continents. Rockstone anticipates more significant distribution and sales agreements over the next months. True Leaf today said that discussions with other potential European partners are ongoing and the company expects to launch its product line in other countries within the European Union in 2017. It was also announced today, for the first time, that an expansion to Asia is on the horizon for 2017. “It’s been an extremely busy year for the True Leaf team. We’ve been forging ahead securing distribution with our initial three-product line. Now that we have a solid distribution base and access to over 10,000 stores across two continents, we can focus on building sales volume with line extensions and potential new brand acquisitions. In November, True Leaf announced its plans to acquire OregaPet, a revenue generating company with award-winning medicinal products based on the power of oregano oil. The company hopes to complete the acquisition by January 2017 and then roll out a refreshed True Leaf Pet branded line to Canadian and US customers early next spring, followed by Europe. With revenues now being generated on 2 continents, True Leaf is emerging as a global brand, while also showing increased engagement in becoming one of Canada’s next licenced medical marijuana producers (see here). Rockstone is impressed by the speed and dedication that the entire True Leaf team puts together to establish its innovative product line as a globally thriving brand. While not resting on their laurels, following the remarkable feedback they have been receiving from pet owners and pet foods specialists worldwide, the company announced on August 11 to launch 2 new hemp-based products for pets. True Leaf’s product line was the only hemp-focused pet treat at this year’s Interzoo, the world’s largest exhibition of supplies for pets with 40,000 attendees, held in May in Nürnberg, Germany. Hemp is coming into its own as health-conscious consumers worldwide recognize the benefits of the plant. The crushed hemp seeds yield an emerald-green oil that is rich in omega 3 fatty acids, stearidonic acid (SDA) and a rare plant source of gamma linolenic acid (GLA) – all seen to have potential anti-inflammatory properties. Ground hemp seeds yield one of nature’s highest sources of highly digestible, gluten-free protein and fiber, both essential to a healthy diet. Statistics show that consumers are looking for higher quality products that address health needs common to their pets, without having to worry about food safety or harmful side effects. Products containing hemp, including hemp seed oil, hemp protein and hemp leaf, are gaining significant acceptance as evidence of their nutritional and medicinal effectiveness becomes recognized. The vast majority of the companies in this market space lack mass appeal or scalability; they offer weak product platforms and often focus on the recreational marijuana consumer. 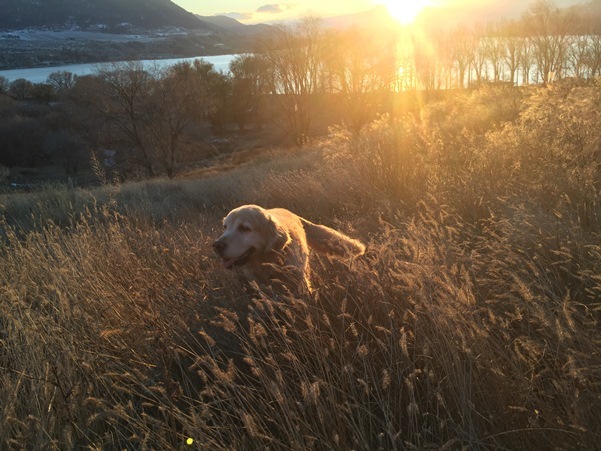 True Leaf`s team has extensive experience in the pet industry and is well-positioned to meet the consumer demand for innovative pet health by marketing hemp-focused natural products that are professionally designed, scalable and legal for sale in the USA, Canada and Europe. The company’s initial product line-up will provide hemp-based antioxidant, joint and calming support in a soft-chew format that will be sold in the USA, Canada and Europe. This will be followed by additional hemp-focused products in a variety of formats for multiple indications and health benefits. As per True Leaf Pet‘s online shop, a single pack (200 g or 40 daily treats) of True Hemp Chews sells for $14.99 CAD (or $11.20 USD or €10.70 EUR; all excluding tax and shipping).